Who are the ‘Weak in Faith’?
. Closed Tags: Weak in Faith. Short version: read the quote below from The MacArthur Study Bible to see what ‘the weak in faith’ really means. A few years ago when I was reading posts on Facebook, I came across a video that autoplayed (which has now been rectified) of someone dying in a car crash, or something awful like that. When someone who deals with chronic depression, or is just very sensitive sees something like that, it can send them into a deeper depression, with that image being added to all of the other images that bombard the mind, if the conditions are right. So I wrote to the person who posted it and asked him very politely if he could either give a warning, or not post material which can be so upsetting to people. Back to the story–he was extremely polite and took the video down. But, he said that he didn’t realize it may upset “the weak in faith.” I didn’t write anything back, I just let it go, because he was so understanding. As mentioned in a previous post, I’ve been reading Romans with some study Bibles. 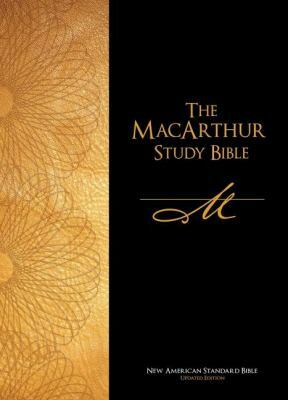 I found this in The MacArthur Study Bible (NASB). It’s the best description I’ve seen of what the weak in faith really are. It’s definitely not people who deal with mental illness, or are extremely (legitimately) sensitive in this way for one reason or another. weak in faith. This characterizes those believers who are unable to let go of the religious ceremonies and rituals of their past. The weak Jewish believer had difficulty abandoning the rites and prohibitions of the Old Covenant; he felt compelled to adhere to dietary laws, observe the Sabbath, and offer sacrifices in the temple. The weak Gentile believer had been steeped in pagan idolatry and its rituals; he felt that any contact with anything remotely related to his past, including eating meat that had been offered to a pagan deity and then sold in the marketplace, tainted him with sin. Both had very sensitive consciences in these areas, and were not yet mature enough to be free of those convictions. passing judgment on his opinions. The mature believer should not sit in judgment on the sincere but underdeveloped thoughts that govern the weak believer’s conduct. Certainly, there are similar things that would be applicable here. Anything that might fall into “a weakness of conscience causing him [someone] to think that something lawful is actually sinful”, as the Reformation Heritage KJV Study Bible puts it.